Mysterion. 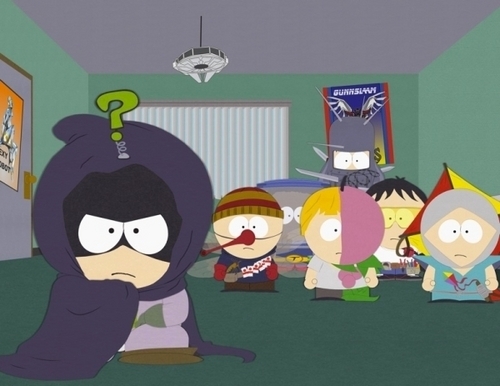 Mysterion and the other super hero's. Wallpaper and background images in the Kenny McCormick- South Park club. This Kenny McCormick- South Park photo might contain 动漫, 漫画书, 漫画, 卡通, and 漫画卡通. He shot himself in the head earlier in this episode.